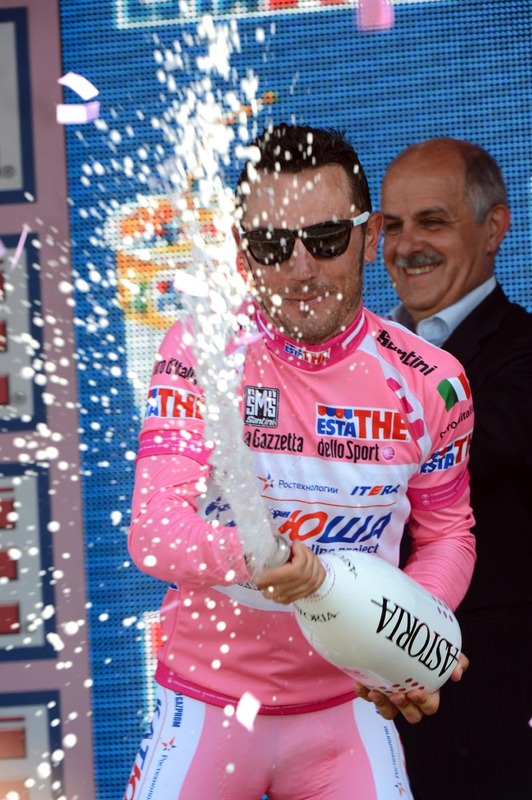 Andrea Guardini (Farnese Vini) outsprinted Mark Cavendish (Team Sky) to take victory in the eighteenth stage of the Giro d’Italia between San Vito di Cadore and Vedelago. Despite the defeat, Mark Cavendish’s hopes of winning the Giro’s points classification received a boost as he opened up a 29-point lead over closest challenger, race leader Joaquim Rodriguez. It’s finely balanced. With two whopping Dolomite mountain stages – offering 25 points apiece for the winner – and the race-ending time-trial to come, there’s little more Cavendish can do now, save avoiding the time cut on the coming days and hoping that a breakaway gobbles up the lion’s share of the points. Cavendish and his Sky teammates were men on a ruthless point-plundering mission today, bringing back the early breakaway to heel from a two-minute advantage to allow the world champion to take the five, maximum points in the day’s intermediate sprint. With most big-name sprinters, including Matt Goss and Tyler Farrar, leaving the race at the first sniff of high mountains, it was down to Sky to keep the race together on a day where only they were hankering for a bunch sprint. The gruppo wasn’t hanging around on today’s mainly-downhill run. A short-lived breakaway and puncture for Lampre leader Michele Scarponi punctuated the fast progress to Vedelago. Saxo Bank led into the sprint, but Bernhard Eisel and Geraint Thomas strung out the bunch in the final kilometre and looked to be leading Cavendish to a fourth stage win. However, with 250 metres to go, Guardini charged right with a scintillating display of speed to claim a maiden Giro stage win and an impressive scalp. 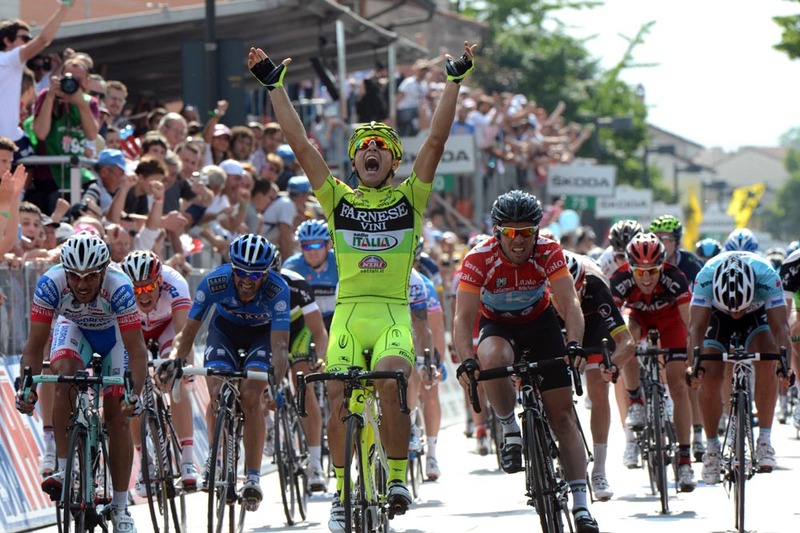 It’s an upset, but Guardini’s ferocious acceleration is well-known. The 22 year old from Verona has been a prolific winner ever since turning professional last year. This is Guardini’s reward for battling through the mountains. Second from last overall, he narrowly missed the time cut on yesterday’s stage. Meanwhile, the favourites finished safely in the bunch ahead of tomorrow’s nineteenth stage, which finishes on the steep climb of Alpe di Pampeago after four categorised Dolomite climbs.